Amrit Pharmaceuticals serves the local and international market and provides contract manufacturing services. Major manufacturers as well as start-up companies will find the experience, capabilities and technical support services they need at Amrit Pharma. 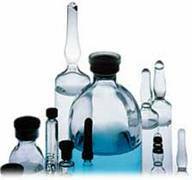 We provide your company the flexibility to produce batches sizes that range from pilot-scale to commercial scale. Amrit Pharam has cGMP (Schedule M) certified plant with facility to manufacture 1 ml, 2 ml, 3 ml, 5 ml, and 10 ml ampoules in fully automated blister pack machine. We can also blister pack 2 ml, 3 ml, 10 ml vials and 5 ml and 10 mls eye and ear drops in plastic bottle blister packed in 3 piece. We provide service as direct export, loan license and also serve the local market. Any type of liquid and oily injection can be made at our facility e.g. α-β arteether injection (oily) etc. We are one of the major manufacture of Salmon Gonadotropin Releasing Hormone in India. Amrit Pharma is committed to providing responsive and comprehensive contract manufacturing services for its partners in the pharmaceutical industry. You can rely on our technical support staff that specializes communication with manufacturing personnel.